Today, however, Nebraska is ranked 49th, almost dead last, when compared to other states parental education choices. It, also, remains one of a handful of states without publicly supported options for non-public education. In other words, Nebraska does not have school choice. Different kids have different needs; different students do better in different learning environments, and parents should have more control of their children’s education than the government. 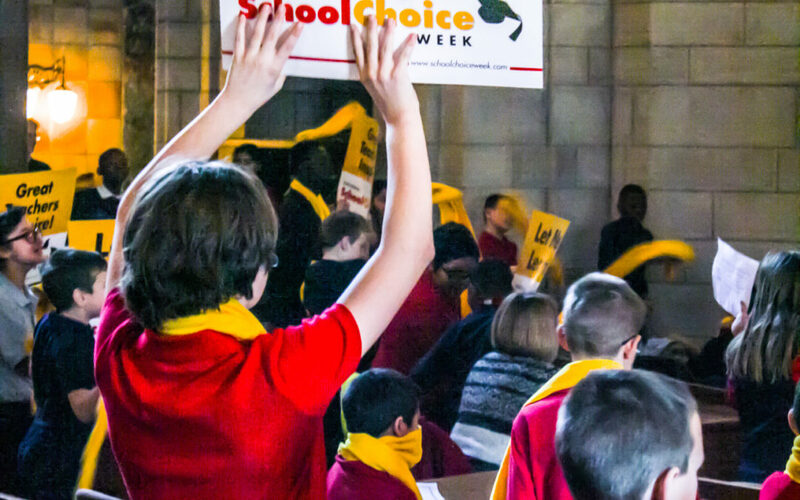 For these reasons and the fact that increased educational options result in better educational outcomes for students; Nebraska Family Alliance supports school choice. Opportunity scholarships are a critical means of helping low-income families get the best education for their children. LB670 would enact a large tax credit for private donations to non-profit “Scholarship Granting Organizations,” which in turn provide scholarships to eligible students for use at non-public schools. This bill does not divert any public money away from public schools. Rather, it incentivizes private dollars to be turned into private donations for school scholarships. In 17 states overall, opportunity scholarships have saved $1.7 to $3.4 billion to date. Using private dollars to reduce the number of students the state needs to take care of and pay to educate will directly lead to substantial local and state savings. For many families, faith-based values are an essential part of their lives and want these values instilled in their children at school. This diversity should be celebrated by allowing greater school choice options for parents through school choice. Private scholarships help meet this need and provide parents and students with the educational outcomes they desire. Right now it is difficult for low-income families to have their children’s educational needs met, and it is critical we bring school choice to Nebraska to help give parents the freedom to control the education of their own. Meyer v. Nebraska, 262 U.S. 390 (1923). Parent Power Index Nebraska, Center for Education Reform. 2018. https://parentpowerindex.edreform.com/parent-power-index/NE/. The Florida Legislature Office of Program Policy Analysis and Government Accountability. Report No. 08-68. (December 2008). Charles M. North, Ph.D., J.D. Associate Professor of Economics at Baylor University. Estimating the Savings to Arizona Taxpayers. [5 Martin Lueken, Ph.D., The Tax Credit Scholarship Audit, EdChoice, at pp. 51-53 (October 2016).